Orchidex AFFF 3% UL is a Top Performance synthetic firefighting foam concentrate designed for use on non-polar, hydrocarbon hazards. 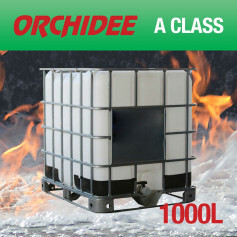 When proportioned with water and applied with conventional foam or water/fog equipment. Orchidex AFFF 3% UL provides excellent control and extinguishments of Class B fires by spreading a vapour sealing film over the liquid fuel. This vapour seal inhibits re-flash even the foam blanket is ruptured and also allows the product to be used to secure non-ignited spills. 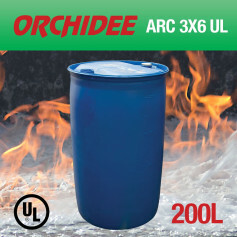 Orchidex AFFF 3% UL provides excellent penetrating and wetting qualities when used on Class A fires. 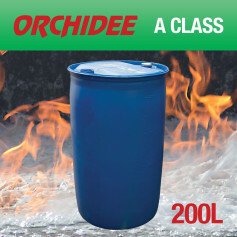 This is important when extinguishing deep-seated fires in wood, paper, rubber tires and other ordinary combustibles. 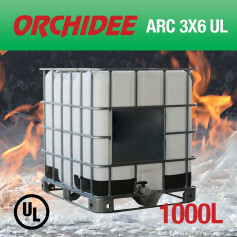 Orchidex AFFF 3% UL can be used with conventional foam equipment with fresh, sea or brackish water. In addition to its use in aspirating foam equipment Orchidex AFFF 3% UL can be dispensed effectively through non-aspirating equipment including fog nozzles, water spray devices and standard sprinklers. Orchidex AFFF 3% UL also prevents re-flash and burn-back, which are major causes of injuries. 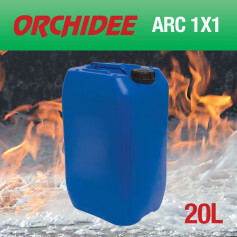 The securing action of Orchidex AFFF 3% UL minimizes re-flash and re-ignition during clean-up of flammable liquid spills. Orchidex AFFF 3% UL offers fast extinguishment, so less agent is required in training and actual fire emergencies. Orchidex AFFF 3% UL provides maximum economies in storage space and design of fixed systems. Orchidex AFFF 3% UL is considered as biodegradable material with minimal environmental impact. More than 90% is expected to be biologically degradable within 28 days. The material is non- toxic to Humans, Fish or Animals. 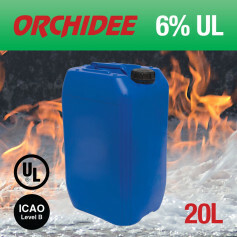 Orchidex AFFF 3% UL is a C6 (short chain) product complying with EN regulations relating to PFOS & PFOA. It is recommended to store Orchidex AFFF 3% UL in its original containers at a temperature between -2°C – 40°C and suitable covers, protected from sunlight in order to maintain its original physical and chemical characteristics and to reach a shelf life of 10 years and even more. The foam should be tested for its physical properties and specifications after 5 years from the production date, and thereafter retested each year. Freezing and thawing have no adverse effect on the product performance, though a slight stratification may result; in that case, a moderate mixing before use is advisable. 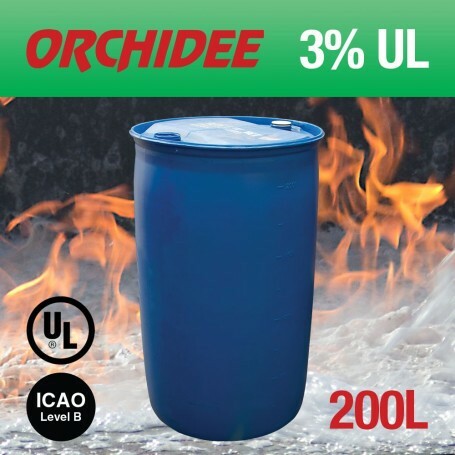 Orchidex AFFF 3% UL is available in drums (20 L/kg, 200L/kg and 1000L/kg). Shipments can also be made in bulk.